Queen Creek Property Management, Queen Creek Property Managers, Queen Creek , AZ Property Management Companies. Family owned & operated since 1983. We offer a full range of Queen Creek property management services tailored to you as an investor, homeowner, or landlord. 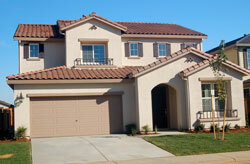 We have an extensive porfolio with single family homes, townhouses, condos, and apartments in the Queen Creek area. We want to be your Queen Creek Property Management Company of choice! No Leasing or re-leasing fees, No vacancy fees, no advertisement fees. Provide general advertising on several websites at our expense. Place "For Lease" sign on property at no expense to you. Periodic drive-by inspections of property. Full twenty-four (24) hour a day phone coverage. Obtain tenants on a lease or rental basis per your preferences. Screen tenants at no expense to owner. Carefully screen tenants with regards to pets, number of occupants, etc. per your requests. Collect rent, security/cleaning deposit, etc. and place in a Trust Account. Provide monthly computer generated statements as to your account and show all receipts and expenditures with copies of repair and utility invoices where applicable. Coordinate repair and maintenance work at the lowest expense to you. Disburse mortgage payments, association fees, etc. as requested. Arrange eviction services when necessary. Filing fee and legal fees are billed to you at our cost. Our fees and rental rates are determined upon our inspection and your representation of the property. Fees are payable only when rents are received. They are then deducted from your account. Copyright © 2016 Gerson Realty & Management. All Rights Reserved.